← Get & give the gift of free cryptocurrency? It’s the gift that keeps on giving! Everything can be reinvented/hacked responsibly as the best things in life are free… like clean air/water/love/technology… (Make sure you read all the way down to hacking hacking as that explains one simple formula so anyone can solve/improve anything)! As it appears that everything is being reinvented/hacked with technology right now here are a few thoughts on how we can hack anything positively and simply. Less is more more or less! 0. Mind/Education Hack – How you (and society) train your mind to think is what you become! Your time/mind/body/health is the most valuable resource you have as you can do anything in the world with it! B. Try meditation and mindfullness as you can learn how everyones minds are bombarded with trivial information every second of every day. As we become what we think, how best to remind everyone to openly love everyone (as life is an adventure not a competition)!? 6 types of people that effect society, life and happiness! 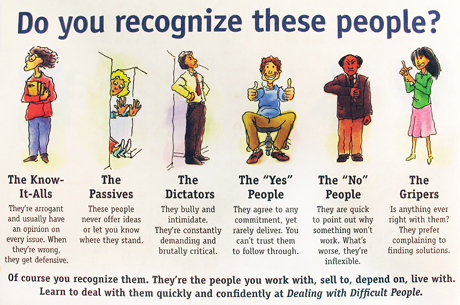 Which one are you?! Are you a: know-it-all, passive, dictator, yes person, no person, griper?! How best to manage the different types and help everyone relate better? A. Saving money – Look after the pounds and the pennies will look after themselves. Cut out most expensive items and the most common cheap items and invest the money you save in low risk investments. Buy cheap property with a morgage rather than renting. Do free fitness activities outside on public common land that cost nothing and make you fitter/happier. Everyone can go walking/jogging for free anywhere in the world. B. Shopping hack – Everyone can help everyone without even thinking about it. 3. Sleep/ Hack – You sleep 1/3 (30 years like sleeping beauty!) of your life so make the most of it! 4. Future Hack – We become the future we think/dream about. 5. Economy Hack – The global economy is only as good as we allow it to be on a local level. 6. Poverty/Inequality Hack – Extreme poverty has been shrinking the fastest this generation and could be ended by the next! Minimum wage in every country that varies so it eradicates extreme poverty overnight (Mobile phones and cryptocurrencies can do this right now). Maximum wage that varies in every country (excess payments can be donated to charities so the funds go to good causes and everyone can conate 10%+). Maximum wage in every charity (say 50,000) and government globally (say 100,000). 7. Illness/healthcare Hack – Mental and physical health (relatively) is all you need so lets help everyone achieve this. As prevention is better than cure could most illnesses be prevented/delayed by sharing the most important health details on all packaging so everyone eats healthier and exercises more while doing activities that enhance society? Eg eating more vegetables that are served in tasty ways. 8. Climate change / Pollution Hack – Simple and proven geoengineering techniques can be used. rehabilitate those in rehabilitation can be employed to plant the trees so they solve many other social problems while helping to turn peoples lives around with nature. 9. Startup/Hackathon Hack – Saving the 90% of startups that fail and helping the 10% that succeede serve everyone. Create all startups/hacks as open source not for profits so all future funds go back into the service. All failed startups/hackathons should automatically become open source not for profit software/property. 10. History Hack – History is written by the victors (Winston Churchill)! How best to automatically reframe all historic information given the known known problems with historic records? How best to positively reconciliate everyone for historic problems that (probably) effected everyones ancestory during history? 11. Government/Charity Hack – Help risk averse gov and ngo’s with open source techniques. 12. Relationships/Romace Hack – Love your self and everyone else. 13. House/Office Hack – Work to live then live to work (do what you love). Keep colourfull plants in every space to clean the air and create oxygen. Open windows as much as you can to let dust and dirty air escape. Help the poorest gain the most with everything you purchase or create at home or at work. Cheap housing can be created for anyone anywhere if local government allows and encourages this and this would solve homelessness. 14. Travel/Transport Hack – Everyone is perpetually travelling but in different directions. Travel in the cheapest transport that you can (as it makes you appreciate arriving) and give the money you saved away to poor people. Trave to the poorest countries so your money goes further and it goes to the poorest people. 15. Food/Drink Hack – You are what you eat and drink so lets make everything healthy. How better to help improve everyons health other than replacing sugar and fat in food with natural replacements? Can everyone health be improved by adding 50%+ more vegetables to all food we eat? Can all packaging be given secondary uses so it is not wasted (there are many online that could be shared on the packaging). 16. Animal Hack – Can all animals be saved instantly with proven techniques? How best to improve animals lives other than giving everyone one animal to look after and feeding the animal a vegetarian diet? 17. Art/Fashion Hack – Art and fashion creatives can surely solve most problems creatively? How can art and fashion help everyone other than taking it from elitism to populism using free street art and fair trade fashion that helps everyone? 18. Security Hack – Safety in numbers may not be enough? As everything has probably been hacked how best to automatically protect everyone? Is the best way to tell everyone what is happening so they can make informed choices. 19. Cryptocurrency/Blockchain Hack – Will the future be networked anonymousely? How can cryptocurrencies and the blockchain be used to benefit everyone responsibly? Is the best way to create one open network technique that everyone can use for free? 20. Artificial Intelligence Hack – Imagine an almost infinately clever being (or just one cleverer than us)! As AI could become clevererer than humans at the singularity how best to protect everyone and enable it to do unimaginably good things? What are the simples forms of AI that could solve most problems just as computers are better than humans with numbers? Could AI invent almost unlimited inventions that could solve most human problems and how can we solve them anyway using existing techniques? 21. Ageing/Breeding Hack – Untill ageing is stopped how can we manage it? How best to help everyone have children safely and enable everyone to age responsibly from cradle to grave? Is the best way to link everyone responsibly in an open source way so we all own our information and can share it in any way we want? What proven ways are there to slow ageing from diet/exercise/society and how can we share them? 22.Death Hack – we are like a speck of dust in this universe but we are also children of the stars. Plant a fruit tree next to your grave to remember yourself and provide free food for everyone! Maximise the impact of everything you do so it can continue to help the most people forever?! 23. Hack Hacking – Everything can be solved simply (as it always has been). Solve problems simply. Do not get suckered into wasting time on other peoples problems/games that do not need to be solved. If you found any of this usefull please do share it so that others can discover it too… Sharing is caring! Posted on February 16, 2018, in Uncategorized. Bookmark the permalink. 2 Comments.